Asleep Versions was recorded at Sundlaugin Studios, near Reykjavik, in February of this year. Intended to be heard as one single 25 minute piece, it is composed of four decelerated, dreamlike re-imaginings of tracks from Hopkin's Mercury-nominated Immunity. Representing the quieter, more meditative side of the album, these new explorations take its hypnotic, transcendent qualities to a far deeper level. At times almost painfully beautiful, the EP contains a new, semi-acoustic re-interpretation of album track Form By Firelight, featuring additional vocals from the Braids and Blue Hawaii lead vocalist, Raphaelle Standell. The first sound on Immunity is that of a key turning, unlocking the door into Jon Hopkins' East London studio. It's followed by the noise of the door slamming, then footsteps, and then finally the crisp, clipping rhythms and pulsating bass of 'We Disappear' emerge, signposting the most club-friendly music Hopkins' has made to date. So begins a confident, dramatic record defined by this acute sense of physicality and place; a bold statement after the quiet, intimate Diamond Mine, his Mercury-nominated 2011 collaboration with King Creosote. 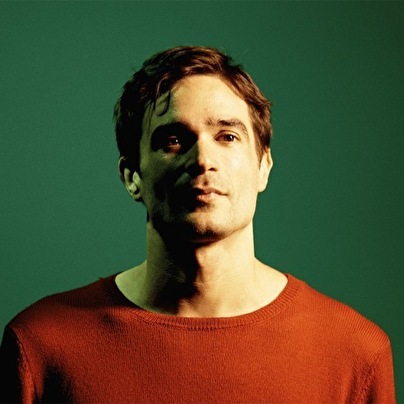 Until now, Jon Hopkins has been an elusive character, known to most as an expert producer, Ivor Novello-nominated composer of film scores, remixer and long term collaborator of Brian Eno and Coldplay. Yet as Hopkins freely admits, the fact that his solo albums to date (Opalescent, 2001; Contact Note, 2004; Insides, 2009) have been rather overshadowed by his work with others has meant that he's been able to quietly develop his own identity, style and sound. Some of the ideas for Immunity have been in his mind for a long time, but there's never been a rush to get them out there. It's part of his mission to make music that feels as natural and unforced as possible. Yet from the moment you hear that key turn in the lock, Immunity announces itself as a powerful, multi-faceted beast, packed with the most aggressively dancefloor-focussed music Hopkins has ever made. Initial indications suggest his first foray into riffs and grooves is paying off. See first single from the album, 'Open Eye Signal', where a high pressure hiss gives way to burbling, insistent rhythm - a chrome express train accelerating through a sunlit landscape. The track got its first outing courtesy of Apparat at a DJ set in Japan on New Year's Eve - an email from the German musician informing Hopkins that the room had erupted made for a great late Christmas present. Or 'Breathe This Air' with its graceful build and huge contrasts in mood via uppity rhythms, mournful piano notes, and stirring choral drones. And then there's 'Collider', the album's peak and the track that Hopkins says is the best he's ever written. A ten minute techno monster, 'Collider' is underpinned by a constant, pounding bass pulse and a sinister texture that could be a harshly taken breath inside a gas mask. The towering central riff makes for a mournful, dystopian aesthetic, cinematic like black rain over neon. Yet the bleak euphoria that suggests a knees-up at the end of the world is only half the story - the compelling 4/4 rhythm and hint of a human vocal give this a massive twist halfway through. Hopkins deliberately structured Immunity with this colossal banger in the middle. The whole album, therefore, works as an idealised soundtrack to a massive night out, peaking with a huge, lost-in-the-moment climax that feels like more than mere hedonism, warm endorphins swilling around the mind. This desire to create dancefloor-focussed music that was a step up from the slower tempo ambience of his previous solo albums was largely inspired by months spent in clubs and at festivals touring Insides. This gradual absorption of anything from the futuristic oddness found at LA's Low End Theory club night (at which he has made several live appearances) to sterner European techno seeped out in the studio, shaping his mission to find new melodic routes through what were for him uncharted rhythmic territories. What makes Immunity so intriguing, however, is the methods Hopkins used to do this. A curse of contemporary clubbing is the audible strain of laptop-DJd and computer-made MP3s through powerful PA systems. Hopkins, on the other hand, went out of his way to make music that sounded like physically built things with layer upon layer of depth, a long way from the cold CGI artifice of much entirely computer-derived electronica. This desire to use physical, real-world sounds (anything from tapping a piano and drumming on the desk to a two quid tambourine and salt and pepper shakers) as the basis for many of Immunity's rhythms also comes from Hopkins' frustration with the ubiquity of certain synthetic drum machine samples in much contemporary dance music. In the corner of his studio sits the piano that he has had since he was eight-years-old, and the instrument features throughout the more nostalgic second half of Immunity... but not always as you'd expect - Hopkins also uses it to explore new methods of sound generation. On 'Form By Firelight', for example, the pedals provide the beat, and the strings are struck for chiming tones. Hopkins' intent throughout was to be open to the world around him finding its way into the music, wherever he was. These happy moments of unintended creation included the reverse alarm of a lorry outside his Bow studio hitting a certain note during a recording session, serendipitously leading the chord sequence down a different path. The whistle and pop of fireworks emanating from the nearby Olympic Stadium were captured and slowed down, to sound like the echoes of a distant battle. Life and grit came from actively boosting things that aren't supposed to be there, such as the rattle of window frame at every kick drum hit. This method of looking inside the music for interesting details to pull out and tricking the brain with technically incorrect recording methods might have most studio engineers tutting, but here helped to create a mangled reality. In Hopkins' studio everything can be melodic, and nothing is wasted. With this sense of place, Immunity is also a sketch of real experiences and memories absorbed by Hopkins over his thirty-three years. These he now tries to reflect and respond to in his music. This might be the quest to recapture the sound of a perfect chord made by water running through pipes in a New York hotel room, or the light reflecting off the surface of the Thames at certain times of the year, the random patterns of nature. This not only makes the album deeply personal to Hopkins, but is key to one of his main inspirations in recording it - the desire to slow down or alter the brainwaves to help us reach different states of mind, whether via hypnosis, music, or drugs. Self-hypnosis is a longstanding personal fascination that Hopkins wanted to bring into his music, yet it was only on Immunity that he felt he had the technical ability to actually try and make it happen. The quality control that decided whether or not tracks were finished was to come into the studio in the morning, and if the track started sending him off into another world, it was done. Similarly, when it seemed that Immunity might be ready for mastering, Hopkins tested it by lying on the studio floor, hitting play, and seeing where his mind ended up. With a stated aim to see if this music might have a similar effect on those who encounter it, Immunity feels like the accompaniment to a journey of creativity, a trip inside Hopkins' mind. That keys-in-the-lock recording that begins the album might usher the listener into the studio to be present at the moment of the music's creation, but it has a counterpoint in the thrilling album closer, and the song that gives the album its name. 'Immunity' is built around rhythms that creak and mutter like the workings of an old watermill joined by a simple, elegiac piano part and indecipherable vocals by King Creosote, as if to paint an inverse to the techno tumult that dominates the album's first half. The very natural-sounding rattle and dying piano notes at the record's end show just how far we and Hopkins have come on one of the most human electronic albums you'll hear this year. Beste optreden op Dour '15! Op lowlands was hij echt de bom!! betere opener kun je niet hebben op de zaterdag!